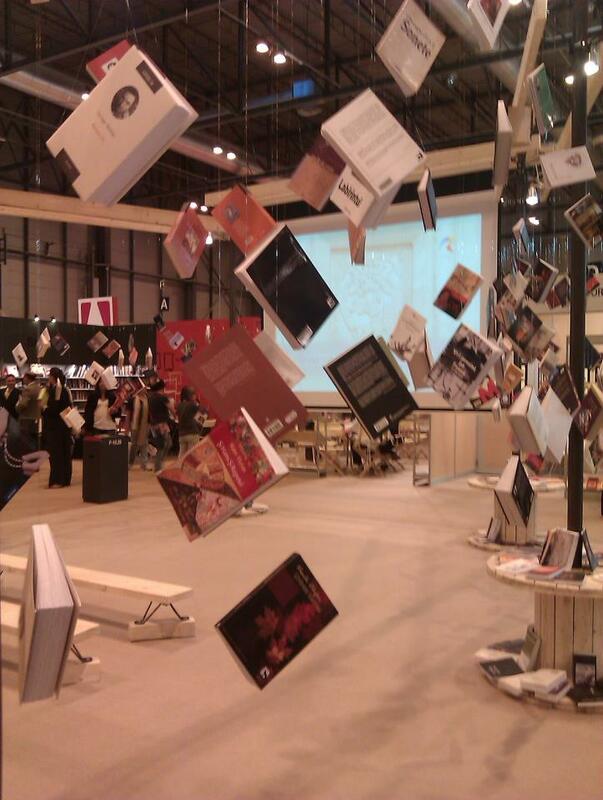 A group of ACLAIIR members were once again invited by ICEX (Instituto Español de Comercio Exterior ) and the FGEE (Federación de Gremios de Editores de España) to attend the annual Feria del Libro, held in Madrid 5-7 October 2011. ACLAIIR was represented by Geoff West (British Library), Christine Anderson (Senate House Library, University of London), Sonia Morcillo-García (Cambridge University Library), Emer Stubbs (Bristol University Library), and Joanne Edwards (Oxford University). We arrived in Madrid on Tuesday 5th in time for the official opening of the Feria. After the inagaural speeches, we had a chance to look around the exhibition, including the creative display from guest country Romania. On Wednesday the Feria started in earnest with a full programme of events, including lectures, seminars and discussion panels. This year there was a dedicated space – Corner Digital – for events relating to e-books and digital iniatives. Felipe Varela of E-Libro, an e-book platform concentrating on Spanish and Portuguese language titles, gave a very informative presentation on their e-book service. The platform has a range of tools which allows users to mark up texts and make notes alongside specific section or chapters. ACLAIIR members were very fortunate to be invited to the Biblioteca T. Navarro Tomás, one of the libraries of CSIC (the Spanish National Research Council). The library was formed in 2008, when 8 specialist humanities and social sciences research libraries were merged. Thanks to Carolina Santamarina, who spent a month with the British Library during the summer of 2011, we were able to have a full tour of this fantastic building. The collection consists of over 1 million print and digital items, with over 300,000 books availble on open shelves. Readers also have free access to part of the archived collections. Thanks also go to Carmen Mª Pérez-Montes Salmerón and Pilar Martínez Olmo for conducting the tour and giving us a marvellous insight into the work involved in consolidating the collections of 8 major research libraries (all with separate classification schemes!) into one building. Lastly, we all enjoyed seeing the mode of transport used by staff when having to travel long distances around the building; only Sonia Morcillo from ACLAIIR was brave enough to try one out! As always, the Feria was an excellent opportunity to meet with Spanish publishers, suppliers and distributors, particularly those smaller and regional presses that can be difficult to discover. It was also a chance to meet new colleagues as well as see some familiar faces from Europe and the US. A great time was had by all. 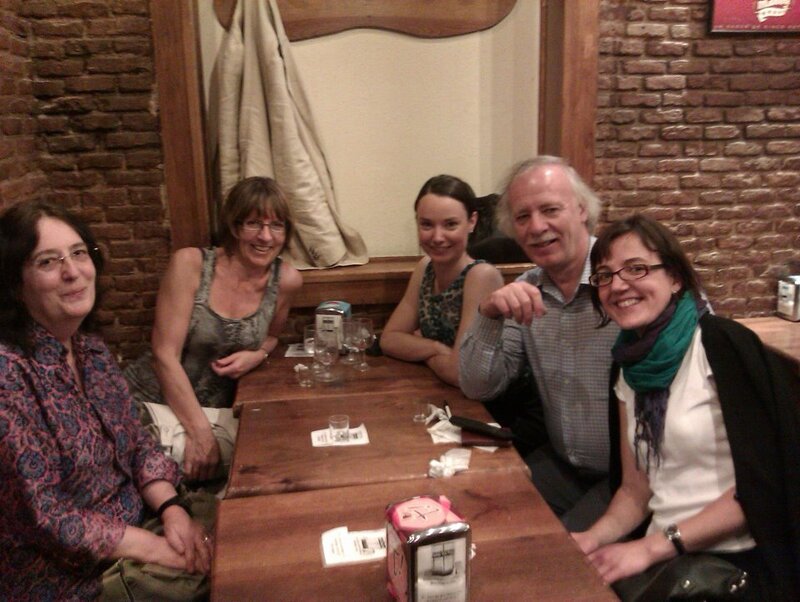 ACLAIIR committee members enjoying Madrid.